Japan Emirates Trading Japan Emirates Trading Est. :Raptakos, Brett & Co. Pioneering original concepts since 1930 in the field of Nutraceuticals & Pharmaceuticals, Raptakos, Brett & Co. Ltd. has been successful in developing an innovative and unique drug delivery system called DRCM technology. This technology enables a single dose of a drug to be made available to the body over a 24- hour period in the required therapeutic concentration. Several products in the range are incorporated with this technology. A wide range of nutraceutical products are also available ranging from specialized infant foods for low birth weight as well as term infants and for lactose intolerant infants, supplements for pregnant women and lactating mothers, growing children, geriatrics and critically ill patients. Convenience & Technology merged together. 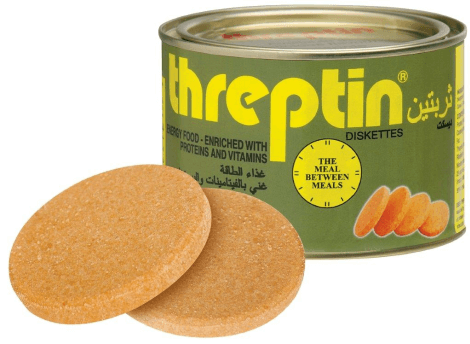 Threptin is an unparalleled class 1 protein Diskette. Endorsed by Doctors worldwide, Threptin has inbuilt Sequential Release Technology and is a protein supplement for all. Being in Diskette form, Threptin is easy to carry and consume. It provides all essential amino acids, B- Vitamins and excellent protein digestibility. Threptin is enriched with bio-active casein peptides, is fat- free, cholesterol-free and vegetarian. Threptin has no side effects and is safe in pregnancy and ideal for cardiac patients. It makes up, qualitatively and quantitatively, the protein requirements of both children and adults. Just 4 Diskettes twice daily. Menopause & its symptoms can bother anytime. 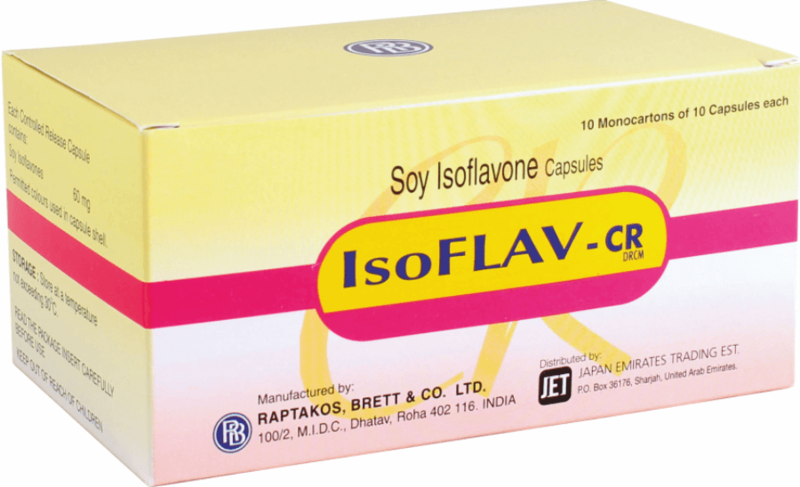 To help women cope with this difficult phase of life, IsoFLAV - CR incorporates DRCM technology for 24-hours relief from Menopausal symptoms. 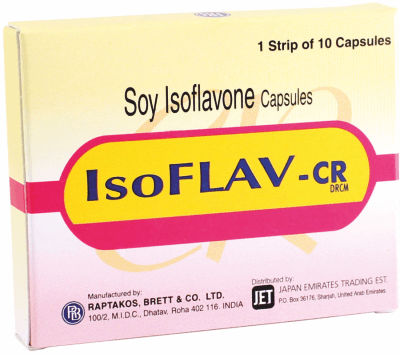 It is a dietary supplement and antioxidant for post-menopausal women to relieve menopausal symptoms, maintain bone health and reduce risk of cardiovascular diseases. It can also be given to patients on thyroid medication. 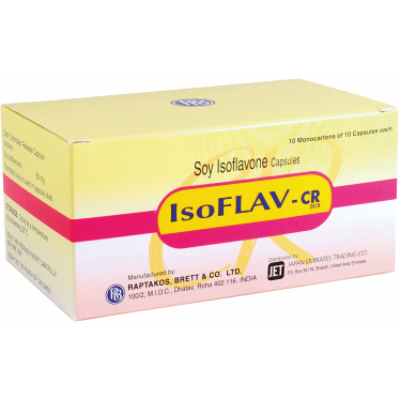 IsoFLAV - CR is the natural, safe alternative for the long-term management of Menopause. Regularize bowel movements with Natural Dietary Fiber. IGOL (Ispaghula husk) is a bulk- forming laxative. It absorbs water in the gastrointestinal tract to form a mucilaginous mass which increases the volume of faeces and hence promotes peristalsis. When compared to other laxatives, IGOL produces a higher percentage of normal well-formed stools and fewer hard stools. It also reduces total cholesterol & UDL. IGOL is safe for all as it contains natural cane sugar, is safe in hypertensive patients, is non-habit forming and non-irritating. Contents of one sachet once or twice daily. It should be used for at least 3 consecutive days to obtain benefit. 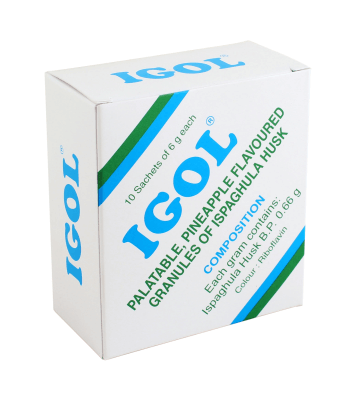 Add the contents of the sachet of IGOL to a half glass of water or milk, stir and drink immediately. It may be followed by an equal volume of water or milk.